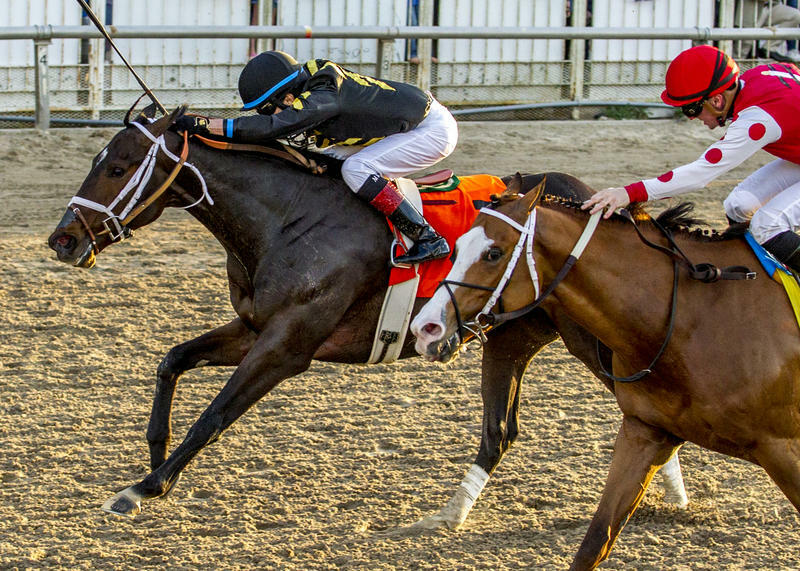 A great name in Kentucky Derby (G1) history, Calumet Farm, likely secured an opportunity to win a ninth Run for the Roses in May as its homebred colt Bravazo pulled off a 21-1 upset of the $400,000 Risen Star (G2) at Fair Grounds on Saturday. The Risen Star was the first Championship prep in the 2018 Road to the Kentucky Derby series, thus Bravazo earned 50 qualifying points for the Churchill Downs classic. Provided he maintains form in the next two months, a position in the Derby starting gate should be assured for Bravazo, who has earned a total of 54 points so far. Ridden by Miguel Mena, Bravazo tracked in second behind 41-1 outsider Snapper Sinclair through splits of :24.15, :47.96, and 1:12.85. Battling with that rival from the half-mile pole onward, Bravazo proved best in the final strides to defeat that determined foe by a nose in a time of 1:42.95 for 1 1/16 miles on a fast track. Trained by four-time Derby-winning Hall of Famer D. Wayne Lukas, Bravazo paid $44. Second choice Noble Indy finished third, a neck ahead of 7-5 favorite Instilled Regard, who had captured last month's Lecomte (G3) at Fair Grounds. The order of finish was rounded out by High North, Ebben, Principe Guilherme, Givemeaminit, and Supreme Aura. Snapper Sinclair earned 20 Derby qualifying points for his second-place finish. Noble Indy earned his first 10 and Instilled Regard added five points, bringing his total to 19. A maiden winner at Churchill Downs last September in his second start, Bravazo subsequently ran second in the Breeders' Futurity (G1), third in the $83,000 Street Sense, and 10th in the Kentucky Jockey Club (G2). He kicked off his sophomore campaign with a gutsy neck win in an allowance at Oaklawn Park on January 13. By Awesome Again, who won the 1998 Breeders' Cup Classic (G1) and Stephen Foster H. (G1) at Churchill, Bravazo is out of the Cee's Tizzy mare Tiz o' Gold. He's earned $426,528 from a record of 7-3-1-1.